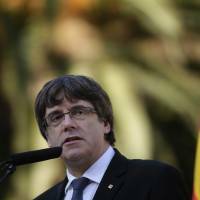 MADRID - Catalan leader Carles Puigdemont has until 10:00 a.m. local time (0800 GMT) on Monday to clarify whether he is calling for the region’s independence from Spain, with Madrid threatening a return to direct rule if his stance remains ambiguous. 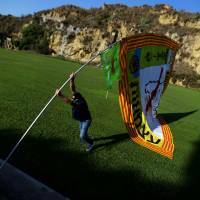 The wealthy region’s threat to break away following a referendum that Spain’s Constitutional Court said was illegal has plunged Spain into its worst political crisis since an attempted military coup in 1981, just six years after the death of dictator Francisco Franco. Puigdemont made a symbolic declaration of independence last Tuesday, only to suspend it seconds later and call for negotiations with Madrid on the region’s future. Spain’s Prime Minister Mariano Rajoy then gave him a Monday deadline to clarify his position — and until Thursday to change his mind if he insists on a split — and said Madrid would suspend Catalonia’s autonomy if he chooses independence. The Spanish government said Puigdemont should answer the formal requirement with a simple “Yes” or “No” and that any ambiguous response would be considered a confirmation that a declaration of independence had been made. This would trigger the Article 155 of the 1978 constitution, under which the government in Madrid can install direct rule in any of Spain’s 17 autonomous communities if they break the law. The central government can then sack the local administration and install a new governing team, take control of the police and finances, and call for a snap election. Sources close to the Catalan government said Puigdemont would send Rajoy a letter before the deadline expires, although they declined to say what his answer would be. 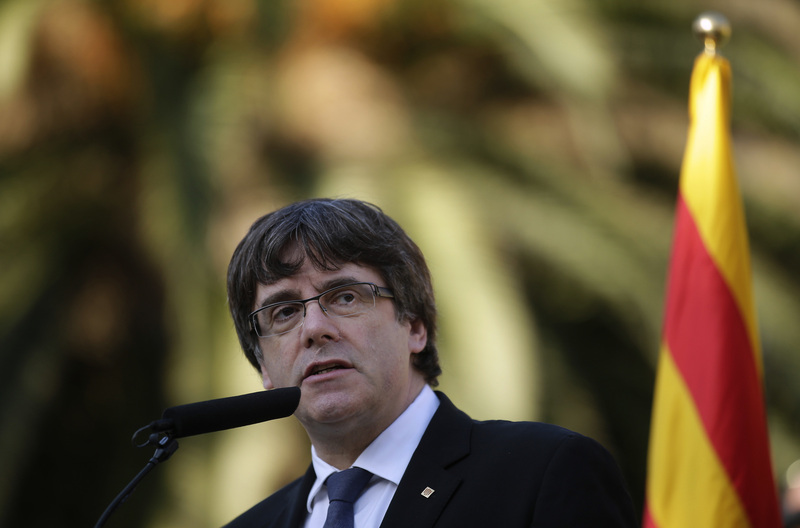 Local media, including Catalan public broadcaster TV-3 and Barcelona-based newspaper La Vanguardia, said on Sunday Puigdemont was unlikely to say clearly whether he had declared independence and send instead a more elaborate response. Puigdemont, who is consulting local parties to prepare his answer, faces a dilemma. If he says he did proclaim independence, the central government will step in. If he says he did not, the far-left Catalan party CUP would probably withdraw its support for his minority government. 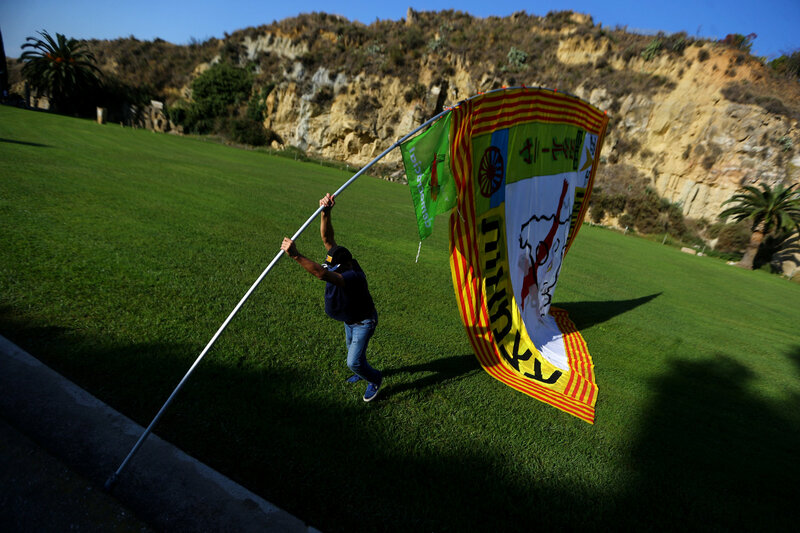 The Catalan government says 90 percent of Catalans voted for a breakaway in an Oct. 1 referendum that central authorities in Madrid declared illegal and which most opponents of independence boycotted, reducing turnout to around 43 percent. Puigdemont said on Sunday his answer would be inspired by democracy, something most political observers in Spain said was a sign he would push ahead with secession plans. If this was the case, and article 155 was invoked, Rajoy would then replace the Catalan government with a new set-up to manage the region, which could be run by politicians or technocrats, Madrid-based newspaper El Mundo reported on Sunday. Elections to the Catalan parliament would then be held within three months.